Quality and Safety | F.K. 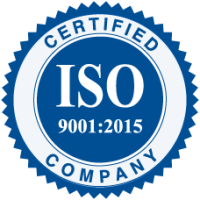 Warren Ltd./McLean Kennedy Inc.
Our ISO quality management system (QMS) has been in place since July 1999 and we currently hold ISO 9001:2015 certification. We have also maintained membership in the American Society for Quality for 10 years. F.K. Warren/McLean Kennedy is committed to ensuring the health and safety of all individuals affected by our activities and maintains a robust Health and Safety Committee responsible for the administration of our Health and Safety Management Program, which provides guidelines to employees and sub-contractors to ensure compliance. We believe that we have an important role to play in the protection of community and environmental interests. F.K. Warren/McLean Kennedy follows all industrial environmental practices and government regulations and requires all subcontractors to do the same.